Mt. Lions are nothing but a furry 200 pound bag of muscle, teeth, and claws but they are considered one of the Top Predators on the planet! 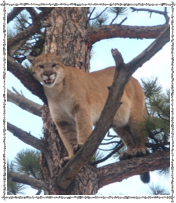 Some of these cats can eat the equivalent of a deer a week! 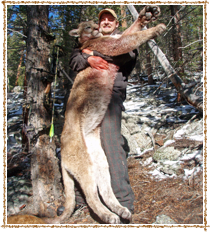 Hunting Mountain Lion is like nothing else - and it takes a certain kind of hunter to appreciate what goes into a lion hunt. Once you’ve tried it.. you’ll understand! 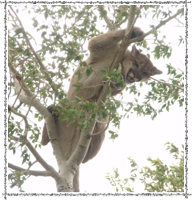 Hunting these illusive cats takes time, though it can come together faster than you think. The main ingredient in Mt. Lion hunting is the dogs, the next is the track. 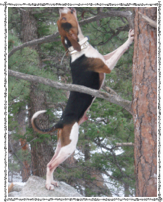 Once we have a track, and narrow down the area where the cat is, we mix in the dogs with the track, and when it comes out of the oven, what we hope for is an over-grown wild cat in a tree! Now, it doesn’t always happen real fast, or that way at all, so that’s why we offer a two part hunt. After a snow storm is the best time to find a track. 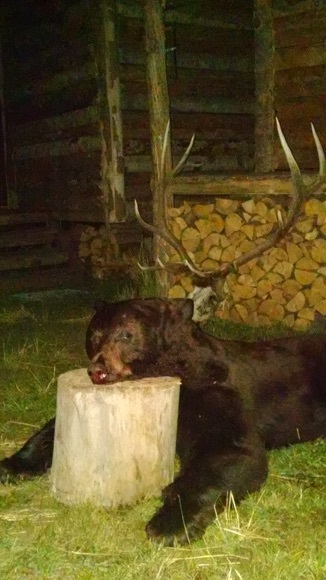 The first half of the hunt is three days after a snow, and the second half is another three days after another snow later in the season. You can also choose to hunt all six days at once, any time during the season. The Mt. Lion Season starts November 21st, and goes thru the end of March (of the next year). 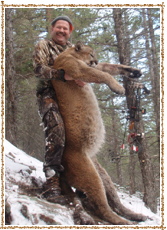 This is a Guided only hunt and some Physical Requirements apply. 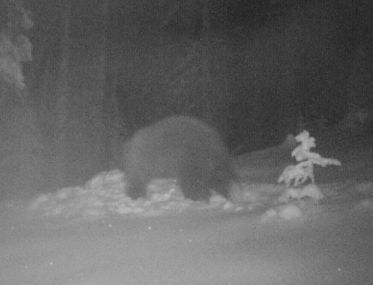 The bears in North Park have steadily been on the rise. 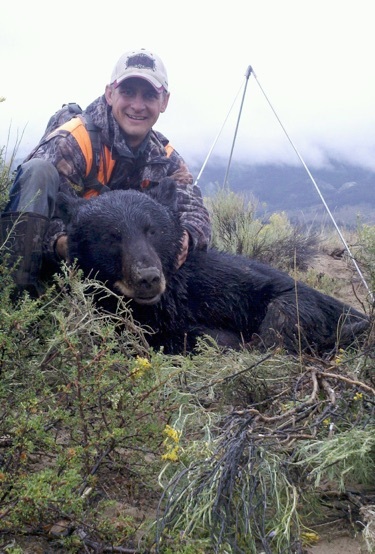 In fact, bear populations have been on the rise all across the state, and much of it has to due with the closure of the Spring Bear Season years ago. 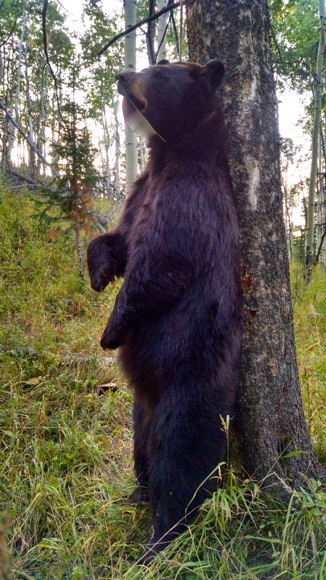 We see many bears every year, and have had much opportunity and success. 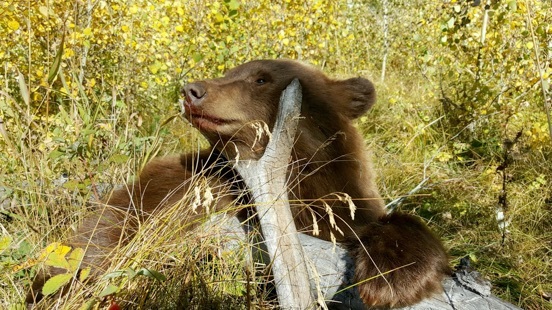 The use of bait or dogs is not permitted any longer, so hunting them is more a matter of being in the right place at the right time ( berry patches, carcasses and gut piles ). Being in the right location and spending some time behind a spotting scope can usually produce an opportunity. 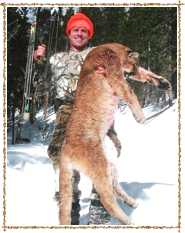 The best time to hunt them is in September during the Archery, Muzzleloader, or limited Rifle Seasons. Archery and Muzzleloader Licenses are sold over-the-counter, but they have caps. The earlier rifle is Drawing Only, but it can be drawn every year. Some licenses are also sold over-the-counter to accompany the Rifle Elk Seasons. 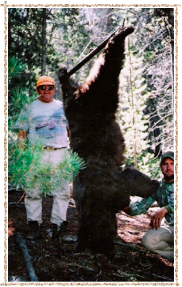 If you are considering an elk or deer hunt, consider a bear tag too. 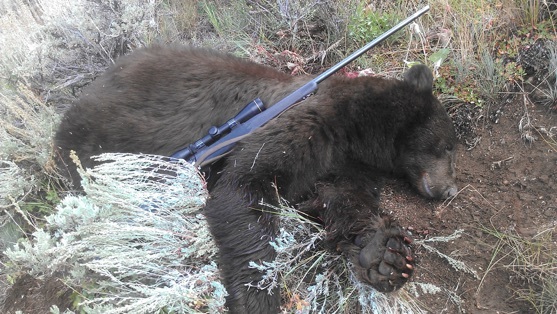 There is no extra charge for a combo Deer/Bear Hunt or a Elk/Bear Hunt. Why do we offer this you ask? 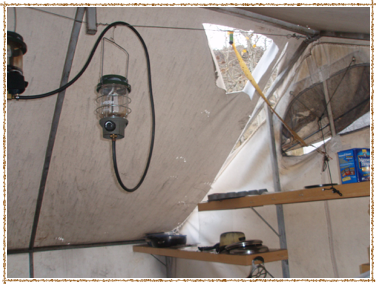 Well, you can see what even a small bear can do to an empty drop camp!